Nintendo consoles have always been a popular canvas for custom culture. The Game Boy is probably the best remembered example of this, if yours didn't have a garish paint-job and cumbersome googly eyes, you were ripe for a schoolyard kicking. 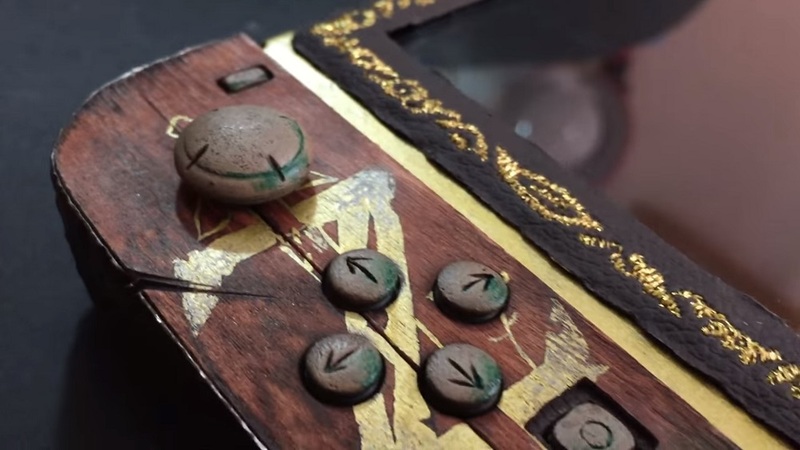 The Nintendo Switch is the latest machine to join this world of glue and glitter, and the bar has just been raised with this Zelda: Breath of the Wild-themed effort by custom-console enthusiasts MakoMod. The unit features ornate craftsmanship from top to bottom. It is entirely hand-made and contains genuine brass, stone and wooden materials. The dock houses LED lights to simulate flickering firelight, and the screen's frame is embroidered in leather. The machine remains fully operational, though it is obviously designed more as a decorative piece. Custom consoles are very much a subjective art, but I can't deny being impressed at the intricacy and meticulous detail that has gone into creating this. MakoMod have announced that this design is a one-off and will not be reproduced again. It is currently for sale over on ebay.